If you have some old computer lying around that is too old to run latest Linux or Windows, but not old enough for the dumpster, this article is for you. 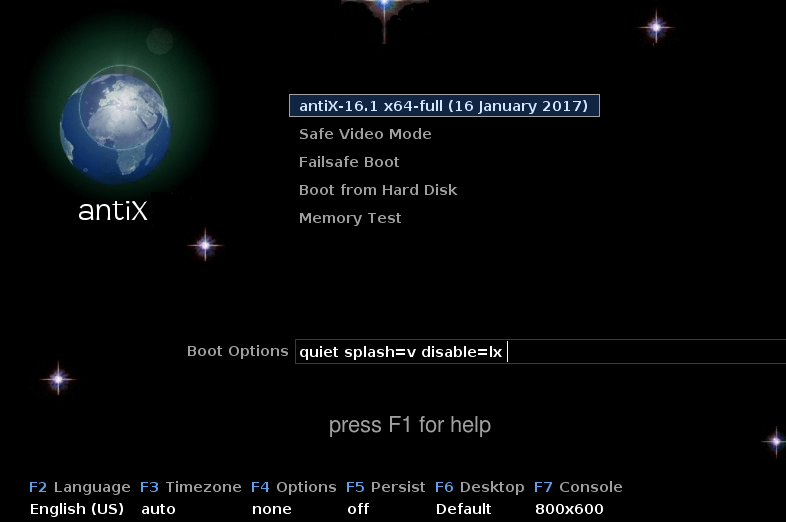 We will review AntiX Linux, which is tailored with computers with small amounts of memory and slow CPUs. 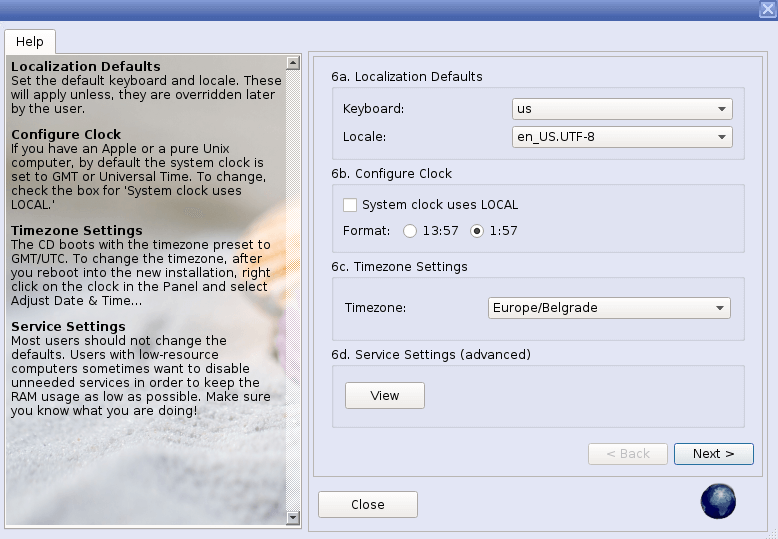 It is based on Debian GNU/Linux and supports 32-bit and 64-bit x86 processors from likes of Intel, AMD and VIA. The AntiX (that is read Antics) version that is currently newest is 16.1 and it comes with kernel 4.4.10. You need any x86 32-bit or 64-bit computer. I am using 64-bit in this guide, but there are images for both. That is it, nothing more is needed, except some free time. After clicking it you will get the window with sources above that will introduce you with available repository channels. 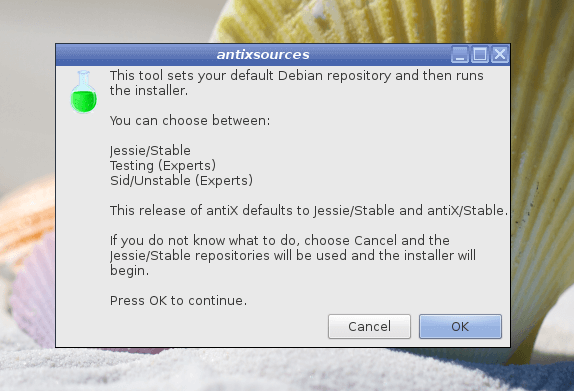 We could use Jessie (which is Debian stable release), testing or Sid (which is Debian unstable). And here we have regular disk operation options. 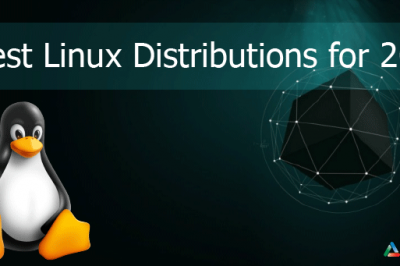 Since use case for this distribution is primarily old computers which cant run new Windows 10 properly or at all, we wont bother with describing dual booting. We are just going to install AntiX to entire disk. 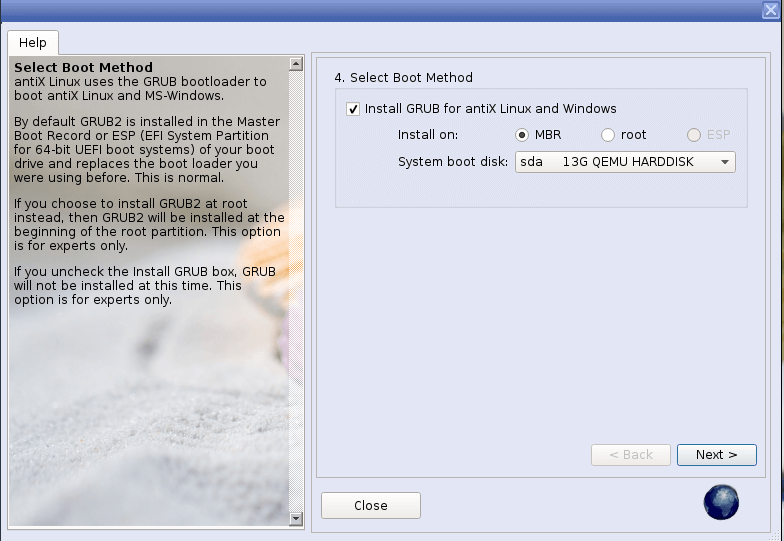 Next we pick where to install GRUB, default is ok.
And in the end we need to create user and password for the user, along with root password. 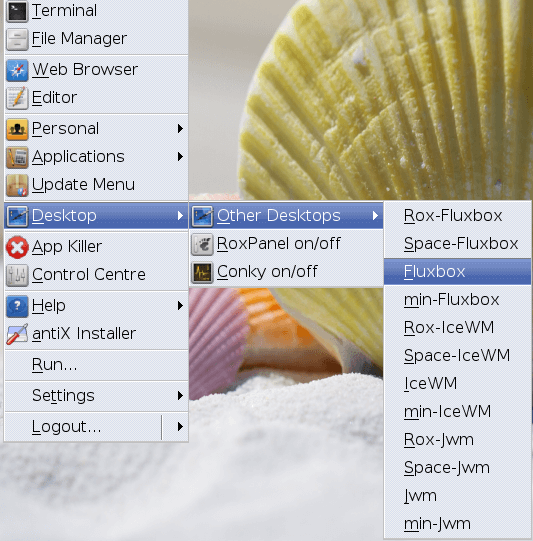 Here I change to Fluxbox. Every DE has its own ups and downs. Some are more featureful, but will spend you more RAM while other are more minimalist but also light on features. Which one you will chose depends on personal preference and specs of your computer. 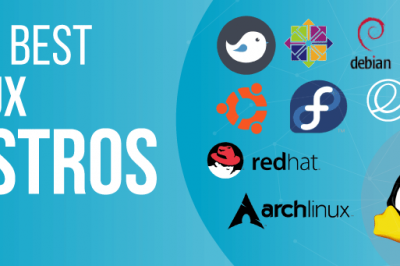 Whichever desktop Environment you chose, chances are that biggest resource hog on your vantage computer will be Firefox browser. So lets see what we can do about that. We have shown how to add chromium, but now lets make it default. Next time when you click on a link, it should be opened with chromium. 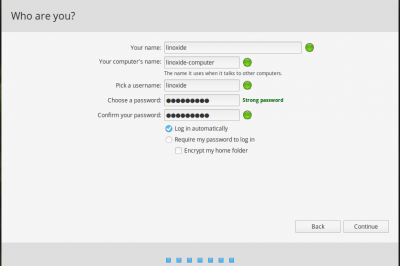 For more alternative configuration you can select from drop-down menu: Applications --> Preferences -->Alternative Configurator. There you can change all the default programs. There is also a neat antiX Control Center which is also accessible from drop down menu. 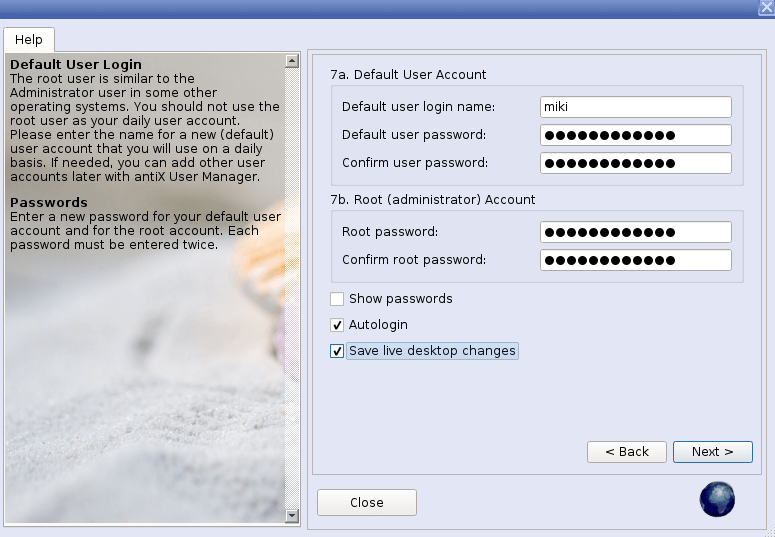 We have successfully installed AntiX Linux, a minimalist distribution of GNU/Linux that brings new life to old computers. You can start searching your basement for your old hardware that can be put to use with this distribution, as this article is over. Thank you for reading and have a nice day. What are the requirements for antiX? How fast a PC, RAM, HDD space?? How much memory does it use in normal use? Hi. The wiki page says minimum is Pentium 3 with 256MB of ram. I am skeptical it would run acceptably on such old machine and dont have nothing so old to test it. Oldest I have is Thinkpad X220T with 16GB of RAM and it obviously runs great on that. RAM can be restricted with VM, I have ran it with 1GB into VM and it runs well. But on CPU side, i5 Sandy Bridge core is still a lot faster than PIII core, so I dont know how to test this, i can only give one core to VM, but not less. 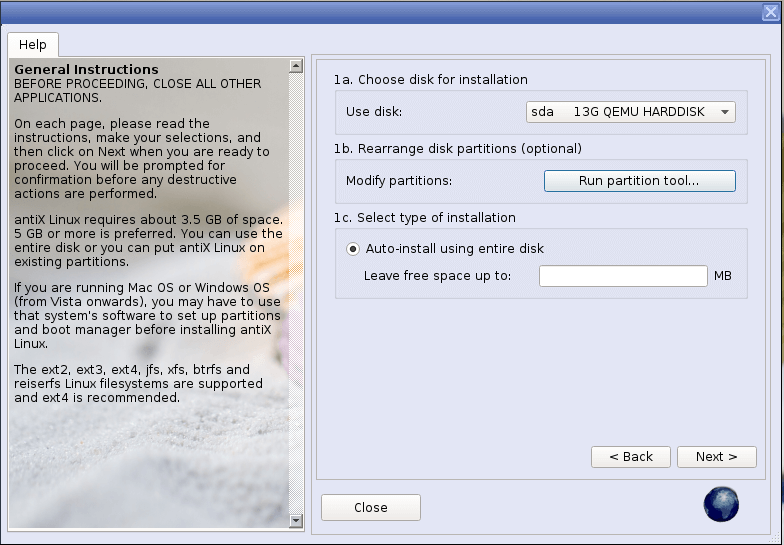 As for disk, 2.7GB are needed for installer to run. I previously ran ElementaryOS (Freya). It looked nice but was a bit sluggish, but much,much better than Windows 10 or Windows 7 prior to that. AntiX is breath of fresh air. 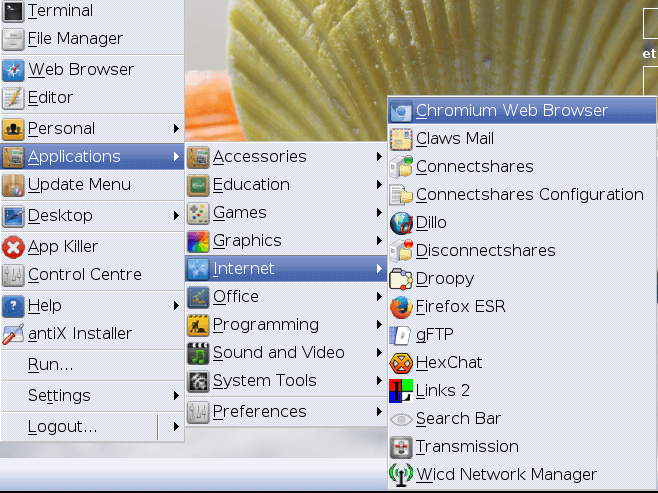 Although the default styling is a bit retro like Win 98, it boots quickly and the performance is snappy. It's also well populated with basic apps so it's useable right the start, eventhough what I downloaded is the 32 bit base version of Antix 16. 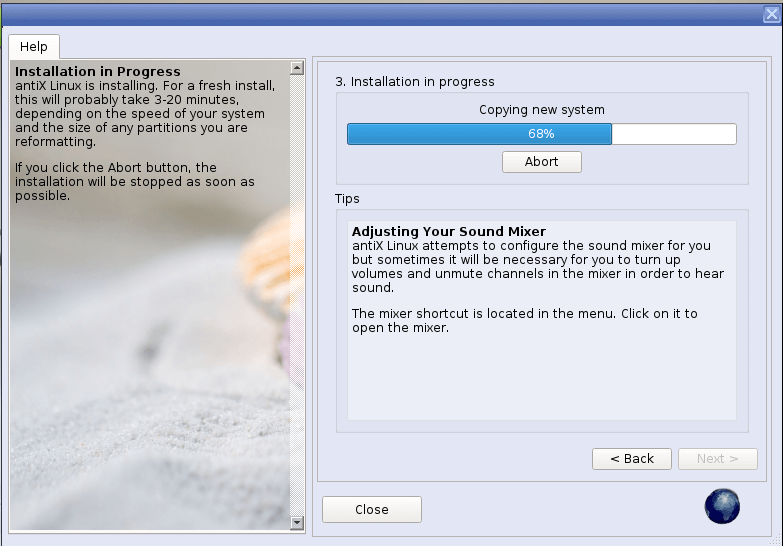 I have run antiX on my old Lenovo 3000 n100 with 1 core 1.83Ghz and 512ram 32bits. Was fresh air for this laptop as I wanted to sell it very cheap. Everything was ok only Firefox uses much RAM and 512 is too less. 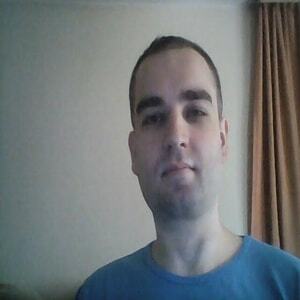 I tried other browsers and was OK. You can do almost everything expect YouTubing and all that heavy sites. Now i upgraded my laptop to 2GB and T7200 CPU 2x2Ghz for small money, change for Debian with LXDE works like a charm. Another benefit is that it doesn't use systemd.